January is that month, that never seems to end, I’ve noticed it for the past three years. It always drags, like why January? Mostly I think it’s the pressure January has as the first month of the year, especially with all the goals and resolutions that have been set to be accomplish and a lot of us fail to do so, so we get so done with January and want February to come like it’s a fresh start. Ah, the wonder of the human mind. Blogging-wise, I accomplished a lot, I love that. I think I’ve got my blogging groove back. Ten points to January. It also helps that I am trying to be more active and engaging in the blogging community. This has helped boost my confidence a whole lot and I am still encountering more and more people as I type this. Here is to a productive and goal breaking 2018, since this is a wonderful start of the year for me. I read a lot of good books. 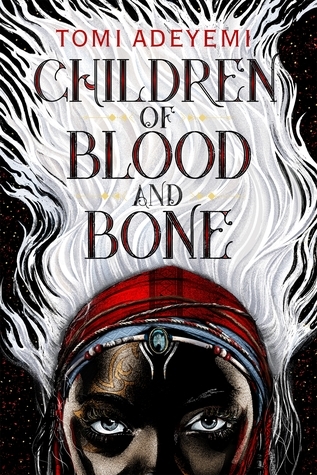 But the best thing I found out was I got approved for Children of Blood and Bone, well I already got approved last year, so I got reapproved, cause I already had it on my shelf on NetGalley, so all I had to do was send the new copy to my Kindle and I’m still reading it and it’s wonderful. Yet I’m being ever so slow, because I don’t want it to end, and obviously get to the cliffhanger that is waiting for me. Down below I am sharing the images of books I love and loved reading this month. 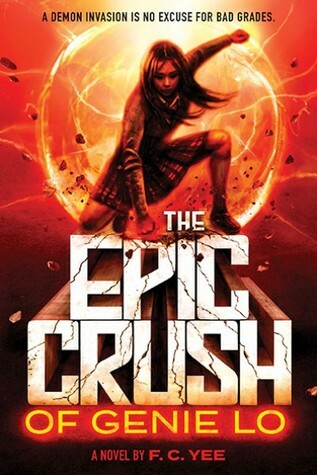 I think everyone should check these books out, well if you’re into YA and pre-order The Summer of Jodi Perez and Children of Blood and Bone, you won’t regret it! I in general just want this year to end, like please fast forward to October 21st, so I can be done with NYSC and being a Corper, my Government’s Property and return back to my not so boring home, family, dog and loved ones. I am a Literature in English teacher, these students have not had a Literature teacher since 2016, and the funny thing is their last teacher was a Corper, why hasn’t the school gotten them a permanent teacher? I really hate how things in the North of Nigeria is, especially education-wise, I have year 12/13 students (high school seniors), who don’t know how to read, or spell words right, yet are about to write the exam for admission into the university. Plus they don’t even have the texts they are meant to read and what not, it’s just very poor and I don’t know why the Government, isn’t helping the Government schools they build for the communities. I am thinking of looking up, on acquiring funds, like asking organizations and more, because I don’t think the Government would help to get the literature texts for them, kind of like a self-imposed mini project. Especially since in my Community Development Service (CDS), I was posted to the Sustainable Development Goals (SDG) and guess who got made Vice President, awkward, non-public speaking me. I am in the most boring state ever. There is nothing to do here. No cinema, no mall, no parks, no nothing. Just food spots, they don’t even have a standard restaurant, I just can’t deal. I know I prefer being indoors, but I can only take so much, I need a change of scenery from time to time. Also, the fact that I haven’t found anyone that I can really connect with, a real friend, al I’ve got are acquaintances and the people I work and live with, it doesn’t help that I don’t have a lot in common with them. I still have the hope that I’m going to find someone I can relate to, but the hope is extremely slim. Cause so far so good, I’ve been turning down men left to right, you would think they haven’t seen women in their lives. Nonetheless, I am trying my best and still being positive, I mean look one month down already, nine more to go, before I know it, it will be over. I just pray other months don’t drag like January did. Hope February is a wonderful month for you, especially one filled with love, since it’s the month of love and soccer, haha. My Anticipated Book Releases, Feburary 2018. 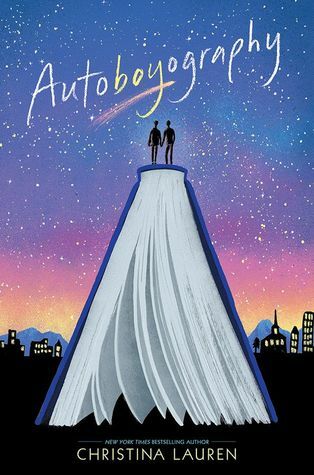 Been hearing a lot of good things about Autoboyography but I’ve not heard too much about the other, glad you’re enjoying children of blood and bone! Sounds terrible that your class doesn’t have the tools they need to be able to pprogress properly! Hopefully it will get better soon and I hope your february is more relaxing! Thanks Aimee, I surely have to try for them. 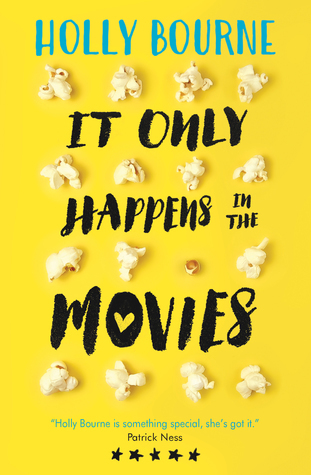 Holly Bourne’s It Only Happens in the Movies was such a phenomenal and refreshing read! Definitely something my younger self should’ve read growing up and trying to navigate my way through first love, identity, and puberty. Hope February is a calmer and more relaxing month for you! Happy reading! 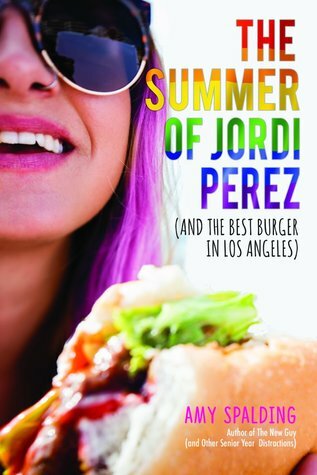 I think I might have to check out the Jordi Perez one as I keep seeing good things about it! Sounds like a difficult situation with your class, particularly if they’re not being given the tools they need to be able to progress! I hope February is a more relaxing month for you though!